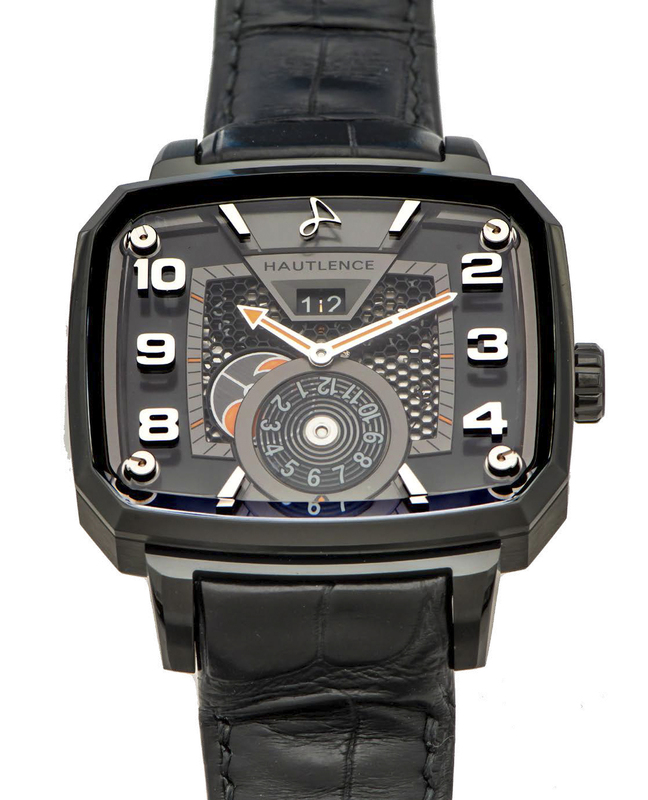 HAUTLENCE DESTINATION 03 DUAL TIME BLACK DLC A very fine and rare self-winding black DLC coated stainless steel wristwatch with dual time and night/day indication. Bracelet Titanium and black DLC coated stainless steel Hautlence deployant clasp. Dimensions 43.5 x 37 mm. Accessories Original fitted box, passport card and instruction booklet.